Home » Nigeria , Police. , Tinted Cars » CONFUSED ABOUT TINTED CAR PERMIT? A citizen confused about the recent Tinted Glass Permit by the Nigeria police said, “I am Confused about the recent Tinted Glass Permit Issues. If one owns a car with Factory Tinted Glass, is he supposed to get a tinted glass permit? The Nigeria police recently explained the ban on the use of tinted glass within the country, in a bid to answer most questions from citizens as regards to issues on the use of tinted glass. 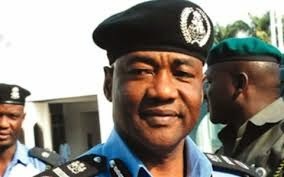 The Police High Command has observed with concern the unnecessary controversies that have trailed the recent IGP’s announcement on the ban on the indiscriminate use tinted glasses on vehicles plying Nigerian roads. 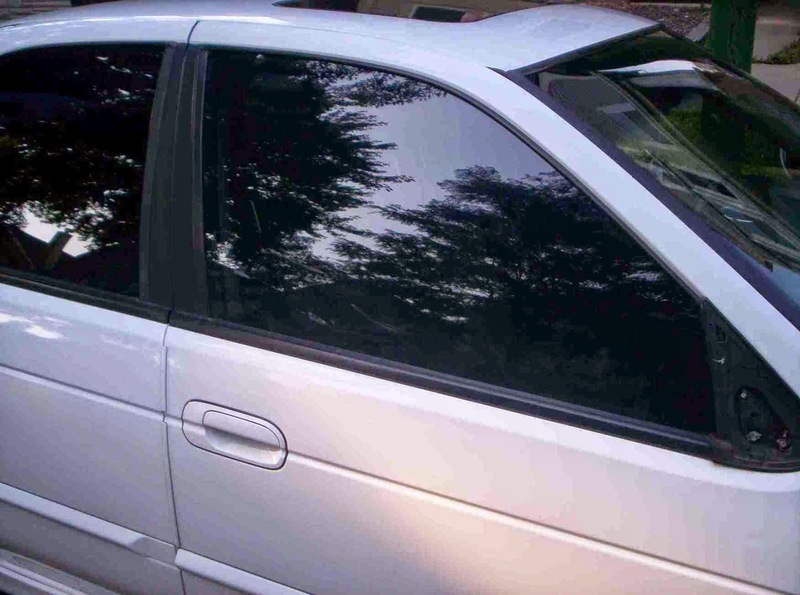 The Force has observed that one of the issues that have generated so much contention and sometimes endless arguments between Police officers enforcing the ban on the one hand, and motorists on the other hand, is the contention by some vehicle owners that there is no valid law restricting the use of tinted vehicle glasses in Nigeria. objections on the fact that their car tints are not as dark as others and thus, should be excused from the requirements of obtaining Permits. While some of these arguments may sound persuasive or even plausible, they are unfortunately devoid of any known legal foundation. Nigerian Laws are unequivocal in their restrictions on the use of tinted vehicle glasses. However, it will appear that the most comprehensive legislation on the use of tinted car glasses in Nigeria is the Motor Vehicles (Prohibition of Tinted Glass) Act, CAP M21 Laws of the Federation of Nigeria (Formerly Decree No. 6 of 1991). According to Section 1 (1) of this Act, except with the permission of the ‘appropriate authority’ and for ‘good cause’, “no person shall cause any glass fitted to a vehicle to be tinted, shaded, coloured lightly or thickly, darkened or treated in any way so as to render obscure or invisible persons or objects inside the car”. Under the Act, it is also an offence to aid, counsel or procure the commission of the offence. From the reading of the law, it is clear that the law made no distinction between manually fitted tints and factory fitted tints. permit. In addition, such permit can only be issued on health or security grounds. Owners of vehicles with tinted glasses are therefore mandated by law to seek the authorization of the IGP before deploying such vehicles on our roads, whether such vehicles came with factory tints or whether the tints were manually fitted. However, by the operation of Section 3 of the Act, such persons – importer, buyer, done – have 14 days grace, from the date of the purchase of the car or the date of arrival of the car in Nigeria (whichever is applicable) to either remove the tinted glasses or obtain the tinted glass permit. Persons convicted for committing offences under this Law are liable to a fine of N2,000 or imprisonment for a term not exceeding 6 months or both fine and imprisonment. Where the offence is committed by a corporate body, the Police may by the operation of Section 4(2) of the Act, proceed against its director, proprietor, manager, or other senior officers of the organization. It must be noted that legal restriction on the use of tinted car glasses is not peculiar to Nigeria. There are many countries – both developed and developing – with similar restrictions. The law is designed to promote and protect the collective security of all, through visual transparency. It reduces the chances of persons plying vehicles with opaque glasses from ferrying dangerous objects such as explosive devices, arms, ammunition and other incriminating materials undetected from one part of the country to the other. It is also designed to enhance the smooth discharge of Police duties, by making the monitoring of motorists easy. It is therefore advisable that persons without good reason to use tinted glasses in their cars should refrain from doing so. In Nigeria at the moment, the decision by the Police High Command to ensure a strict enforcement of the relevant laws prohibiting unauthorized use of tinted glasses on our roads is predicated on the need to effectively tackle contemporary security challenges in the land and ultimately serve the common good of all Nigerians. Intelligence reports and empirical statistics at the disposal of the Police Force indicate that majority of crimes relating to terrorism, suicide bombing, kidnapping, gun-running, human trafficking, armed robbery and other related offences are committed with the use of vehicles with tinted glasses. Perpetrators of these heinous crimes hide under the cover of tinted glasses to ply their nefarious trade. It has therefore become a matter of urgent national security importance that indiscriminate use of vehicles with tinted glasses be checked in accordance with our laws. 1. Write a formal application to the IGP for the use of factory tinted glasses, stating the reason for use, bearing in mind that approval of such application is predicated on health or security reasons only. - Photocopies of all relevant particulars of the vehicle. - Photograph of the vehicle. - Profile of the applicant with relevant background information. - Passport size photograph of the owner of the vehicle. - Any other supporting document/information that may help to justify the request. The Police authority conscious of the fact that some unscrupulous Police Officers may take advantage of the new regime of enforcement to engage in the harassment and extortion of helpless motorists, has issued strong warnings to all Policemen charged with the responsibility of enforcing the law to ensure that they act within the confines of the enabling laws and the Police Code of Conduct at all times. Command Commissioners of Police have been charged to ensure strict supervision of men deployed for these duties while the IGP Monitoring Units have been empowered to arrest and bring to book any officer found acting in a manner inconsistent with his or her oath of office. Police Officers are also warned to desist from harassing Nigerians who have already obtained valid tinted glass permits, as provided by the extant laws. Finally, the Inspector-General of Police calls for the support, understanding and cooperation of all Nigerians, including corporate citizens as the Force embarks on a strict enforcement of the tinted glass laws.